Story Contracting has been selected to deliver an additional Network Rail contract for one of England’s main rail routes. Story has been awarded a five-year framework contract worth up to £50m to carry out geotechnical work on the LNE (London North Eastern) route over Control Period 6 (CP6) – Network Rail’s five year programme of work to be completed between 2019 and 2024. The route stretches from the capital city to Scotland. 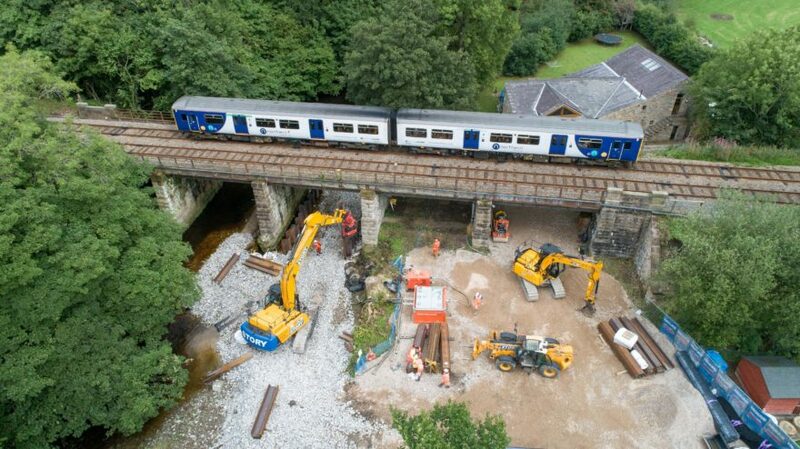 The projects will cover renewals work on embankments, cuttings, drainage and tunnel portals along the route. Story Contracting, which already has a regional office in Normanton, West Yorkshire, will look to strengthen its presence in LNE and establish a regional office in York which is closer to its client Network Rail. The company will look to grow the team and invest in its in-house Plant Division to support delivery of the geotech framework. Regional and team growth is the main focus for Story Contracting following this contract win, which will provide the opportunity for people within the business to take the next steps in their careers and to help develop the next generation of employees. The new contract win follows the recent announcements that Story Contracting has also been awarded framework contracts worth up to £38m for structures and property work on the South of the LNW (London North Western) rail route and that Story Scotland – a business division of Story Contracting – has been awarded up to £135m of work north of the border with Network Rail. Story Rail Director, Ian Purdham, said the latest successes were a major boost for the company and testament to its growing reputation in the rail industry. Ian Purdham said: “I am delighted that Story Contracting has won this framework as it forms an extension of our earthworks portfolio from LNW. It also secures a framework in LNE which was always part of our long-term growth strategy. We’ve worked hard without ever having the permanent continuity that the framework brings and our team has done fantastically well for us. This new work will allow Story Contracting to employ in the region of 25 additional staff over the coming year, and will also see the creation of new strategic partnerships with the wider supply chain. The company has already started a recruitment drive and is keen to hear from experienced project managers, quantity surveyors, engineers and planners. Story Contracting Chief Executive, Jason Butterworth, said: “We are thrilled with the news of another win for Network Rail which again reinforces our reputation for delivering quality projects safely, on time and to budget.